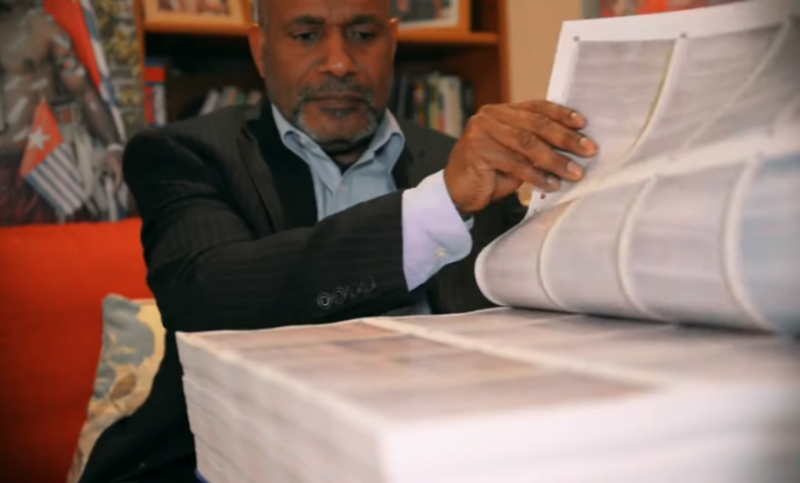 On 8th November, Sydney Criminal Lawyers interviewed West Papuan Independence Leader Benny Wenda on the story, success and significance of the West Papuan People’s Petition, which he presented to the United Nations in September, containing the signatures of over 1.8 million West Papuan people. The following interview was originally published on the Sydney Criminal Lawyers site. Firstly, Mr Wenda, in September, a petition containing the signatures of 1.8 million West Papuans was released. How was it to receive such an overwhelming response to a petition that was at times dangerous to sign? 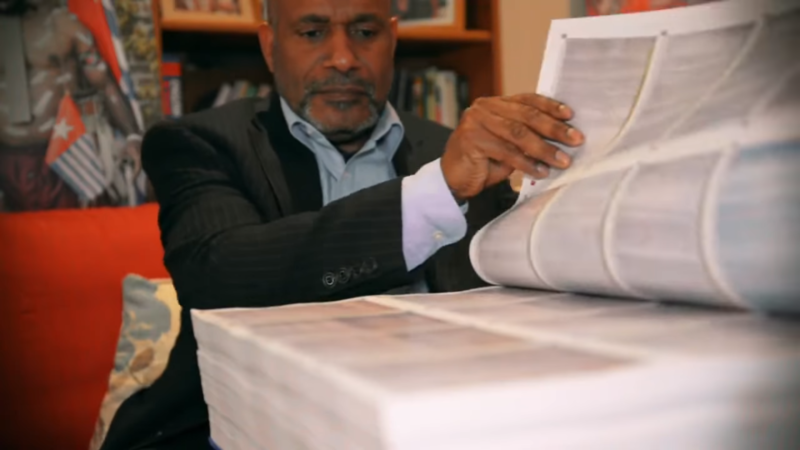 The West Papuan People’s Petition has become a monumental part of West Papua’s history. To have the collective aspirations of our people embodied in a petition, makes it more than just paper. It is the spirit of our nation. I can hardly describe the emotion and joy that my people feel when we consider the incredible effort that went into the signing of this petition. People risked their lives to put their names down, to tell the world that we want to be free. The West Papuan People’s Petition is hard hitting evidence of the will of our people for our fundamental right to self-determination. It is a firm rejection of the Indonesian government’s claims over our sovereignty. The petition calls for the United Nations to hold a vote on West Papuan self-determination. However, a UN brokered vote on this issue was held in the 1960s. How would you compare the differing outcomes of the referendum and the petition? One thousand seven hundred and fifty times more people took part in this petition, than took part in Indonesia’s fraudulent Act of Free Choice of 1969. That act involved less than 0.2 percent of the West Papuan population who were handpicked by the Indonesian government and forced to vote for Indonesian rule, under threat of violence. Our petition involved more than 70 percent of the population who signed in spite of threats by the Indonesian government. So, this petition is an expression of the true will of the West Papuan people. It was presented to C24, but it was rejected. How do you feel about the committee’s rejection? In terms of the reaction from the United Nations, the response from the Decolonisation Committee was the expected response to our petition. What is important is that we have shown the United Nations the will of the West Papuan people which cannot be ignored. And from here, what’s the next step with the petition? We have three copies of this petition and we’ll continue to use them as firm evidence to the United Nations, and to the world, of West Papua’s legal and moral right to self-determination. In West Papua, people are celebrating that their voices have reached the world, and that the world is now taking notice. The presentation of the petition was not a failure, it was an enormous success. How did the Indonesian government react to the petition once its existence was discovered? And has this transpired into any heavy-handed responses on the ground? The Indonesian government immediately banned the petition. They banned the petition hosting website Avaaz, which helped to run our global petition, throughout the whole of Indonesia. They also began to systematically try and stop the West Papuan People’s Petition from being signed, and confiscated and dismantled apparatus used during petition signing events. Not only this, but the Indonesian security forces also arrested and tortured 57 people just for supporting the petition. Local West Papuan leader Yanto Awerkion was arrested on April 30 for organising a petition related event and he remains in gaol, facing charges of treason, which carries a 15 year gaol sentence. To this day, he has been detained without trial and we appeal for his immediate and unconditional release. And what was the official response of the Widodo government? If it does not exist, why did the Indonesian government ban the petition and arrest and torture more than 50 people for signing it? Our petition is no hoax. The real hoax is Indonesia’s fraudulent justification for its illegal occupation of West Papua through its Act of No Choice. It’s time for the world to recognise the facts when it comes to West Papua. Last month, Australia won a seat on the UN Human Rights Council. The government said it will have a particular focus on human rights issues in the Pacific. What do you hope will come of this development? In West Papua, we look up to Australia as our big brother or sister in the Pacific. The Australian government now sitting at the UN Human Rights Council provides the perfect opportunity for it to fulfil its obligations in supporting human rights in the Pacific, including the human rights of West Papuans. We hope that Australia, our closest neighbour, will indeed stand up for what is right for human rights. And that it won’t turn a blind eye to the ongoing and systematic genocide still being perpetrated against its closest neighbours in occupied West Papua. We know, for example, that the Australian government cannot ignore the overwhelming evidence presented in the West Papuan People’s Petition. The Australian government takes strong actions on particular human rights issues around the world. Now is the time for the Australian government to also act strongly on human rights issues in West Papua, in its own region. Do you expect the Australian government will lend support to the West Papuan cause now it is in this position? In West Papua, we are fully confident that the Australian government will listen to us, will listen to the Australian people and will listen to people all around the world in demanding an end to the genocide and illegal occupation of West Papua. It’s not a case of if, but it’s a case of when. One day, we are certain that the Australian government will support West Papua’s inalienable right to self-determination just as they did for the people of East Timor. It is a historical, legal and moral reality that simply cannot be ignored. And lastly, Mr Wenda, what would you like to say to the Australian people? I hope that the good people of Australia and their government will not let their neighbours suffer alone, and will not forget that in World War Two, our ancestors helped, fought and died alongside Australian soldiers to preserve Australia’s freedom. Now it is our time of need, and we hope that our Australian neighbours will not forget us, but will come to our aid and help us as we helped Australia.